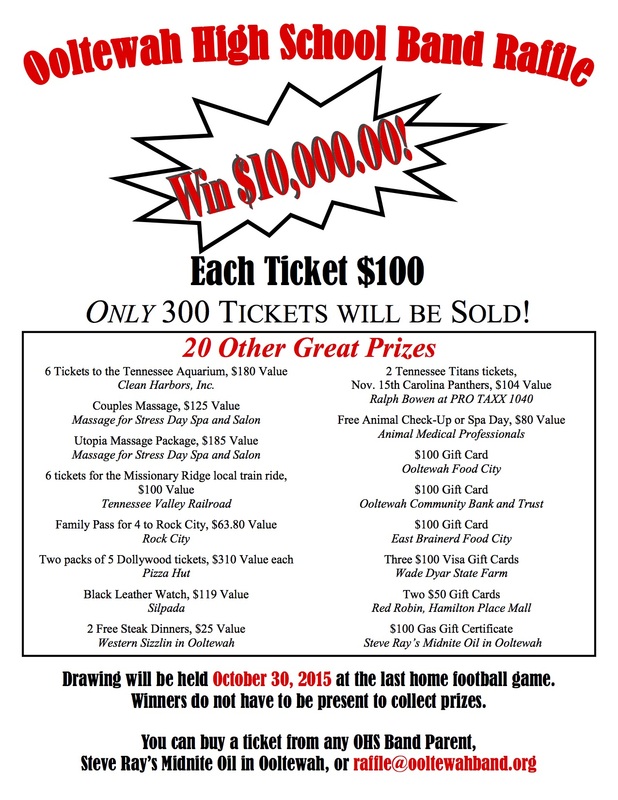 More prizes have been added to our Annual OHS Band Raffle for 2015! Feel free to print out the latest flyer (by using the link above) and post it for others to see. Remember, this is our biggest fundraiser of the year and we need everyone to do their part and sell those tickets! Note: The flyer is available in two formats — PDF (the one above) and a JPG (shown below). The PDF is probably best for printing while the JPG is probably best for sharing on social media sites.